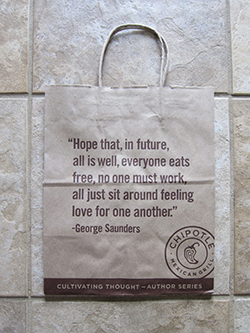 A quote from Syracuse University professor and author George Saunders appears on bags at Chipotle restaurants. Customers at Chipotle are getting a side order of literature to go along with their burrito bowl and guacamole. 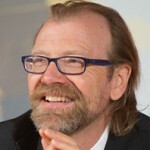 For Saunders it’s simply the latest in a long line of recognition for his work, including the compilation of short stories “Tenth of December,” which The New York Times called one of the top 10 books of 2013.